About 45-minutes north of Seattle is a gem called Tulalip Resort Casino. This year I had the privilege to attend their 4th Annual Taste of Tulalip, a two-day food and wine celebration. Saturday morning began at 11:30 a.m. with a VIP Wine Seminar with Leslie Sbrocco, the libations and lifestyle expert also known as Thirsty Girl. 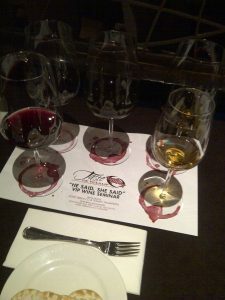 We were treated to a tasting of five fantastic wines and the panel of genius winemakers behind the juice. My winner of the day was none other than Washington winery Woodinville Wine Cellars 2008 “Indomitable”, a deliciously tannic Bordeaux-style red blend. Although I must admit that the Pinor Noir from Penner-Ash in Oregon’s Willamette Valley came in a close second. 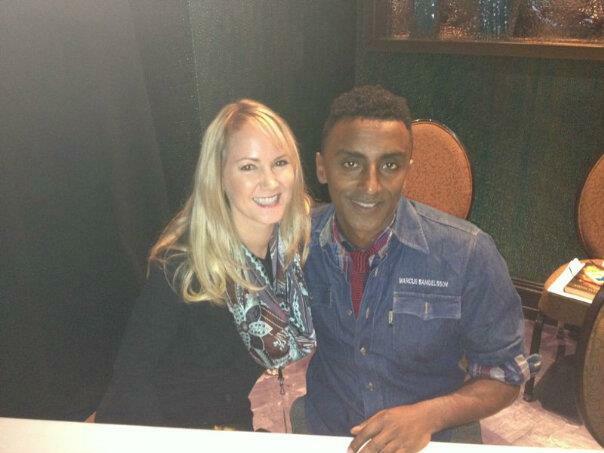 Me and Chef Marcus Samuelsson. Following the seminar, the one-and-only Chef Marcus Samuelsson took reign over the stage and treated the VIP crowd to “The Best Fried Chicken in the Nation.” I must concur. He was funny, personable, and spent one-on-one time with each attendee after his presentation, autographing his new book, Yes Chef. The Magnum Party was next and I was in awe of the experience. Tulalip’s team assembled some of the world’s most elite wineries for us to imbibe. Let me just say, the first glass I was given was of Cristal Champagne and the second glass was Chateau Lafite Rothschild. My husband and I then headed to the Grand Taste, where we were able to spend time with more than 65 Washington wineries, and some 80 other wineries from Oregon, California, France and Italy. The highlight, however, was the incredible food prepared by the Tulalip Resort Casino culinary team, led by Chef Perry Mascitti. At every turn, I dined upon another incredible bite until my tummy could take no more. The day was capped off with the Rock-n-Roll Cooking Challenge. Think Iron Chef meets Chopped. It was a perfect way to enjoy a final glass of wine, while watching entertaining “television” right before my very eyes. 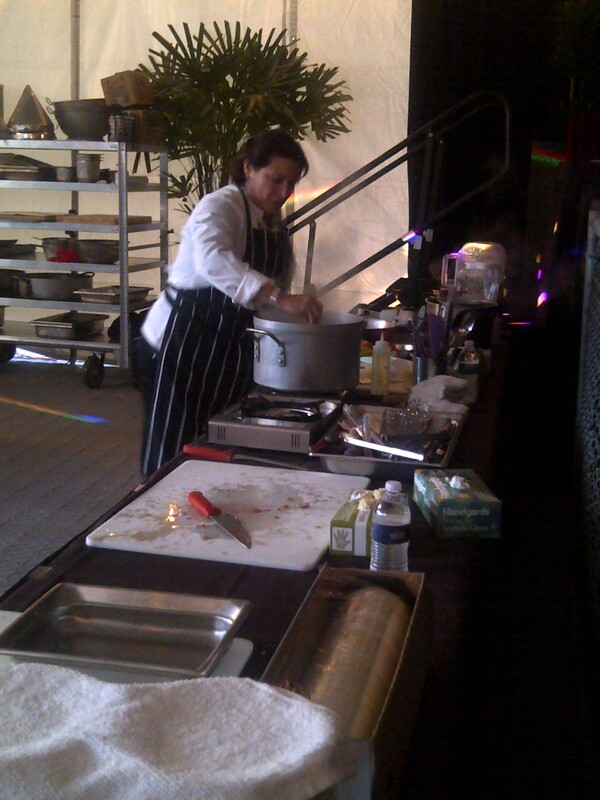 My team featured Chef Robin Leventhal of Top Chef fame! I’m already looking forward to the Taste of Tulalip’s 5th Anniversary celebration November 8 and 9, 2013! Oh, and did I mention how incredible the rooms are at Tulalip Resort Casino? Insiders tip: staying for the weekend is a MUST.